ntegrate home or commercial technology systems with in wall touch screens, remote controls and a system phone app that allow full access to your complete system. Smart control is always at your fingertips wherever you need it. 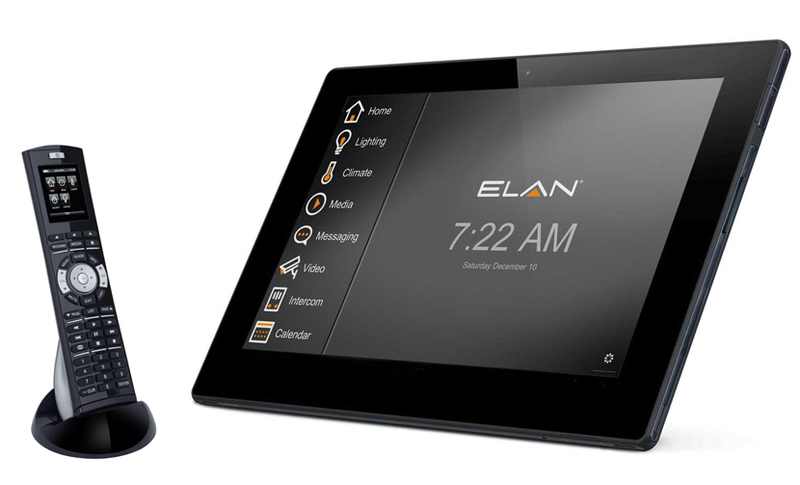 Starting with in-wall touch panels which present a virtual keypad offering instant one-touch access to your most common controls. Having an integrated home means that all of your technology components act together, as one system. This allows for your home to “know” when you are there automatically adjusting lights at certain times of the day, keeping the climate control as desired and having your security system armed with you safely inside. All of this at the touch of a single button. An integrated home is a lifestyle. It helps with day to day tasks and just makes life easier. With a properly wired system, the possibilities are limited to your imagination.